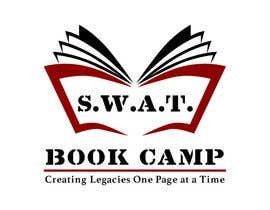 I need a logo for a book publishing camp. 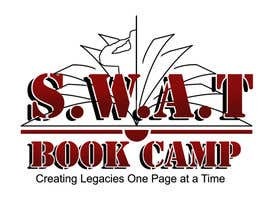 The camp name S.W.A.T. Book Camp. SWAT stands for "Serious Writers' Accountability Team". My slogan is "Creating Legacies One Page at a Time" I have attached my desired font and color preferences. This will be used on business card, clothing and other promo material. I would like a vector file included also. Seems I can;t submit an entry for some reason.. Good luck with your contest. I' ll try and submit if I figure it out. submit them through the inbox. That is what others are doing. Have you limited the entry per person to 1 for this contest? Dosen't seem like I can add another entry. No I haven't. maybe I need to reject it? I will reject it and perhaps you can add another. Thanks. I'm not what you are asking. ooops, I'm not sure what you are asking. do you want the same logo as like as the logo on coffee cup ? not necessarily, it was just a sample of what I have used. It was generic. Feel freed to submit whatever you envision.